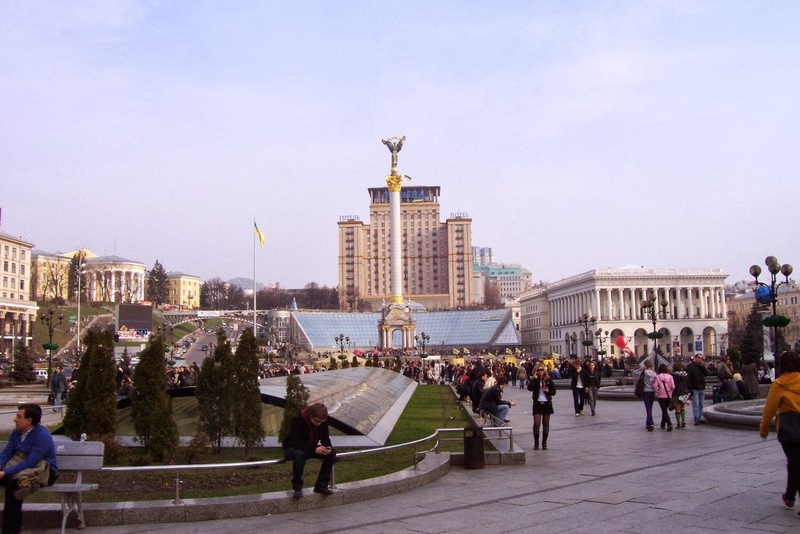 Maidan Nezalezhnosti is Kiev's main square. 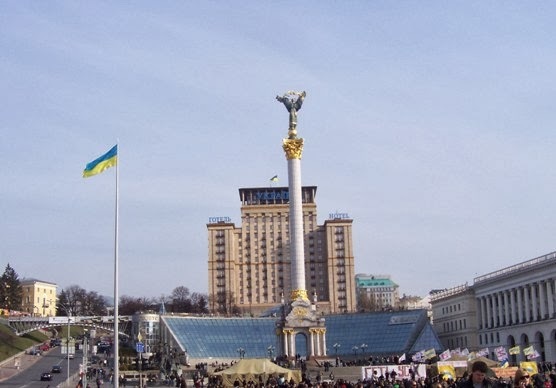 The main feature of the Maidan (square in Ukrainian) is the monument to the founders of Ukraine topped by the Archangel Michael. Recent events in the last few months, has put Independence Square as known in English in the spotlight. From the comfort of the living room watching the news, one could watch an uprising unfold. The ouster of Prime Minister Yanukovich resulted in at least 29 dead. Maidan as it looks now on the news has been turned into one giant floral wreath honouring a new set of heroes. 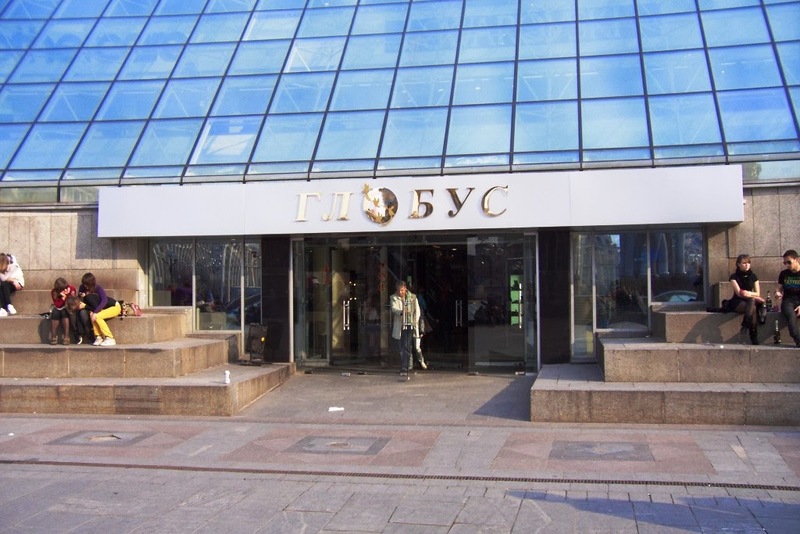 It has been 5 years since I was in Kiev. I was only a hundred metres from the Maidan while staying at an old soviet style hotel on Kreschatyk. The monument was most memorable to me since it was very imposing and very visible from afar. Behind the monument was the entrance to Hlobus, the underground mall. A promenade area with the dome of the underground mall in the middle was flanked by hotels and restaurants (including the ubiquitous McDonald's), and tourist shops. It was a very frisky March and spring hadn't fully sprung. But on a sunny day, the square would be filled with people especially on weekends. That was a happier time at Independence Square. Hopefully, it will come back for the better soon for Kiev.